Interactive Discussion on "The Need to increase Fiscal Focus on Health"
While Health is a state subject, political will and economic ability of providing health care vary significantly across states. To truly universalize health care, “pooling of political will” is required to align and unify the provision of comprehensive prevention, treatment and care across the country. Coverage of the entire population irrespective of income level, occupation, religion, gender, caste, and geographic region is imperative. There is a need to address equity in access to care as well as the quality of that care – including preventive and promotive health services apart from curative and rehabilitative health care. It is a fact well acknowledged that disease incurs large social and economic costs, and at large, slows the country’s development. Yet, India spends less than 2% of its GDP on health annually – far less than even its neighbouring countries. In this regard, the fiscal charter needs revision to increase spending on public health. In this context, GPPI-CPR and GHS organized a discussion on “The Need to Increase Fiscal Focus on Health on 9 December, 2014. Dr Amirullah Khan, development economist and policy expert on health discussed on - Is it time to Revise the Fiscal Charter to Increase Focus on Health? 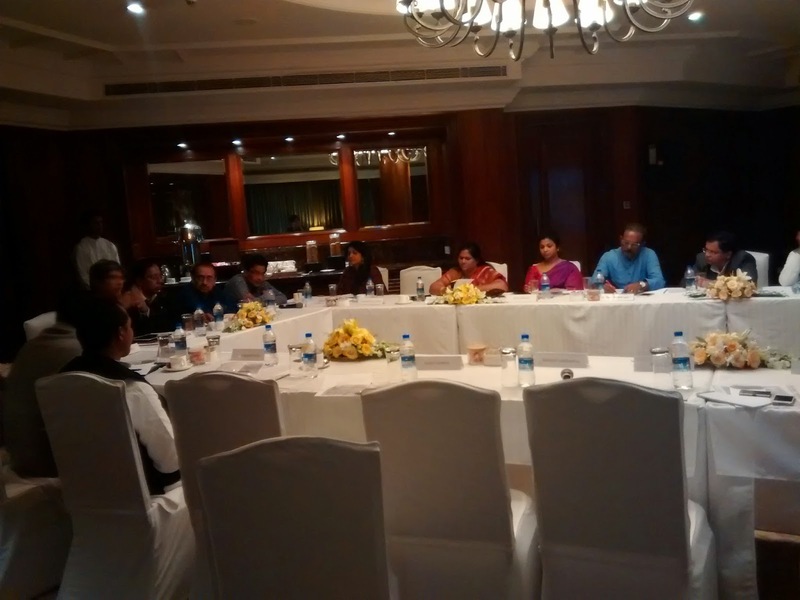 The discussion was attended by 12 multi-group of MPs including former Union Minister for Railways, & MoS, Health & Family Welfare, Mr. Dinesh Trivedi.